Home » Is Beer Actually a Good Post-Workout Drink? Is Beer Actually a Good Post-Workout Drink? It has carbs, it has electrolytes, and the Egyptians built the pyramids on it. 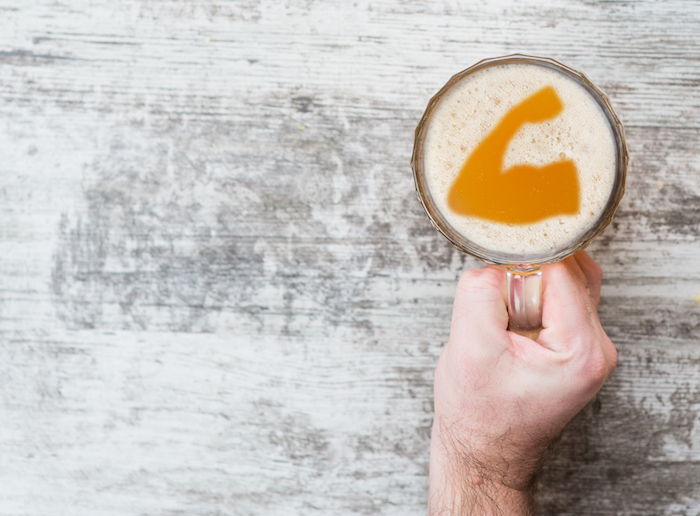 Is beer the best post-workout drink? Working out is typically an invigorating, cathartic experience and after winding up and sweating your guts out, many enjoy winding down with a cold beer and a gym buddy or two. Why Is Beer Meant to Be Good Post Workout? This is not a very convincing body of evidence. Exercise damages the body. That’s the point: it puts tiny tears in the muscles, it depletes the body of electrolytes, it increases stress hormones like cortisol. Exercise is hard for a reason (lots of them, actually) and what it needs once it’s over is to recover properly, to rebuild broken down muscles, and to return to homeostasis. But that doesn’t necessarily mean you should never, ever drink alcohol. In fact, some studies have suggested that if you keep your dose to half a gram of alcohol per kilogram of bodyweight — maybe three standard drinks for a 180-pound person — it’s unlikely to seriously impair recovery. (7) But does that mean drinking is useful for recovery? That it can be a secret sauce for the thirsty gym-goer? No. Sure, beer contains some carbs and a little potassium, but it doesn’t seem to be worth what it takes to break down the alcohol. Low levels of alcohol won’t exactly undo your gains, especially if it’s flanked with a lot of water and nutrients, but it’s far from the optimal post workout drink. If truly maximizing your recovery is your priority, alcohol should be off the cards — it’s not improving anything. Ignore one-off studies and hearsay and do what makes your body feel better. The best takeaway is that you might be able to have a couple of drinks after you work out, so long as you don’t get drunk. Combined with a lot of water and nutrients, it may not be the end of the world. How much this matters depends on how serious an athlete you are, but make no mistake: it’s not improving anything. 1. Scherr J, et al. Nonalcoholic beer reduces inflammation and incidence of respiratory tract illness. Med Sci Sports Exerc. 2012 Jan;44(1):18-26. 2. Shirreffs SM, et al. Restoration of fluid balance after exercise-induced dehydration: effects of alcohol consumption. J Appl Physiol (1985). 1997 Oct;83(4):1152-8. 3. Desbrow B, et al. Beer as a sports drink? 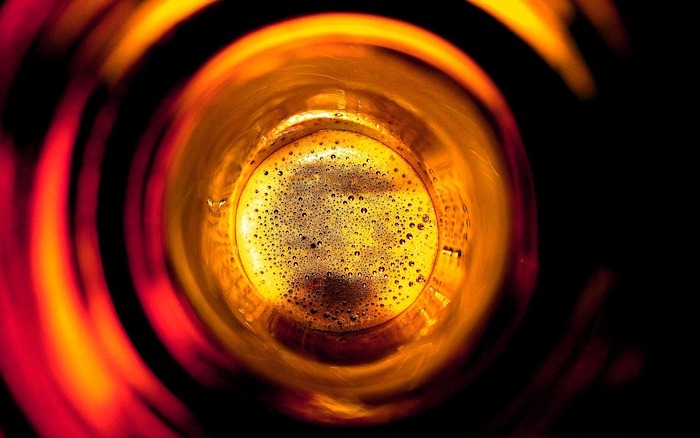 Manipulating beer’s ingredients to replace lost fluid. Int J Sport Nutr Exerc Metab. 2013 Dec;23(6):593-600. 4. Jiménez-Pavón D, et al. Effects of a moderate intake of beer on markers of hydration after exercise in the heat: a crossover study. J Int Soc Sports Nutr. 2015 Jun 6;12:26. 5. Parr EB, et al. Alcohol ingestion impairs maximal post-exercise rates of myofibrillar protein synthesis following a single bout of concurrent training. PLoS One. 2014 Feb 12;9(2):e88384. 6. Barnes MJ, et al. Post-exercise alcohol ingestion exacerbates eccentric-exercise induced losses in performance. Eur J Appl Physiol. 2010 Mar;108(5):1009-14. 7. Barnes MJ, et al. Alcohol: impact on sports performance and recovery in male athletes. Sports Med. 2014 Jul;44(7):909-19. 8. El-Sayed MS, et al. 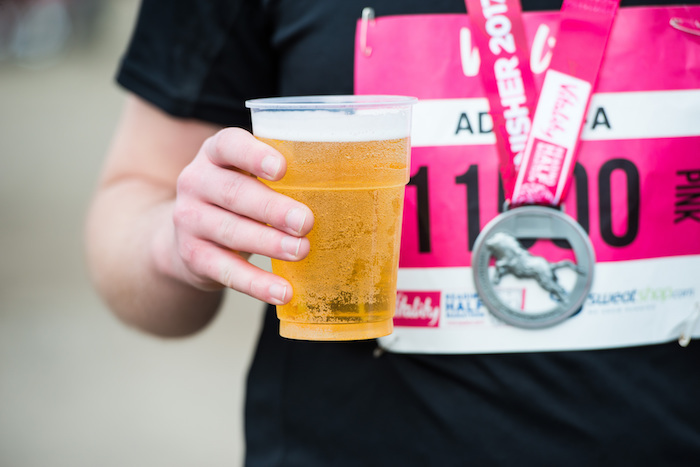 Interaction between alcohol and exercise: physiological and haematological implications. Sports Med. 2005;35(3):257-69. 9. Sierksma A, et al. Effect of moderate alcohol consumption on plasma dehydroepiandrosterone sulfate, testosterone, and estradiol levels in middle-aged men and postmenopausal women: a diet-controlled intervention study. Alcohol Clin Exp Res. 2004 May;28(5):780-5. I think it’d be interesting to see a study with the effects of drinking specifically Dogfish Head’s Seaquech Ale. Since they claim their beer has electrolytes and is designed to hydrate you. You can’t be serious. Anything for content, I guess.